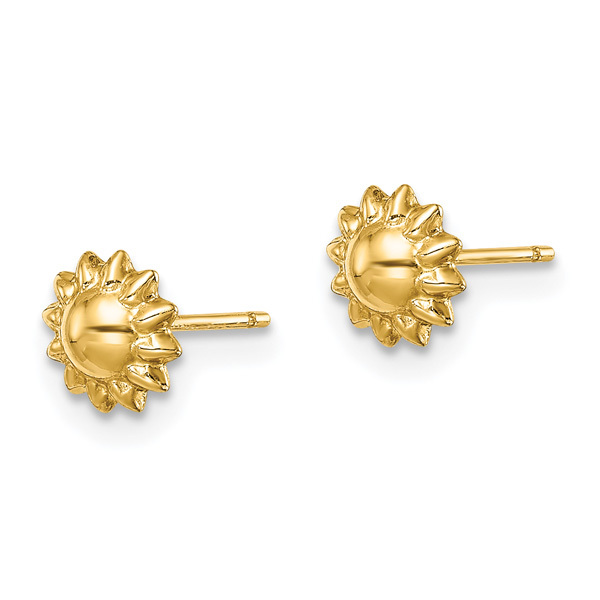 Unique and cute 14k gold sunflower cross post stud earrings made in Italy, from Apples of Gold Jewelry. The sunflower earrings measure approx. 1/4" in size. Includes industry-standard secure, friction push-back closures. "The grass withereth, the flower fadeth: but the word of our God shall stand for ever" (Isaiah 40:8). 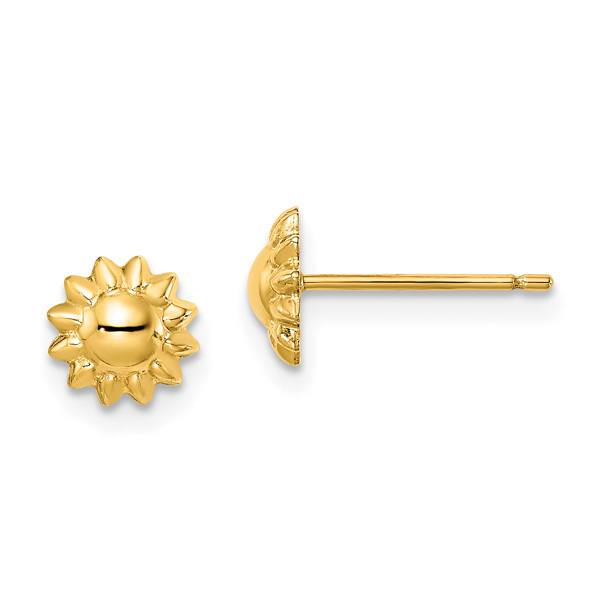 We guarantee our 14K Gold Sunflower Post Stud Earrings to be high quality, authentic jewelry, as described above.